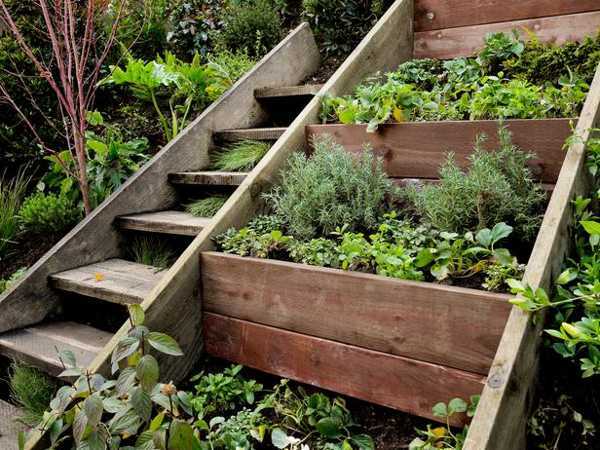 If you are new to gardening, have limited space or if your soil is poor, raised beds are an easy, low-maintenance option for your backyard garden. 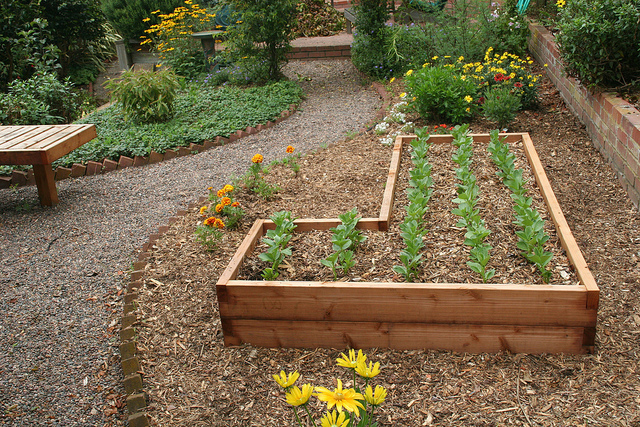 You can easily make wood raised beds yourself or purchase them at garden stores. 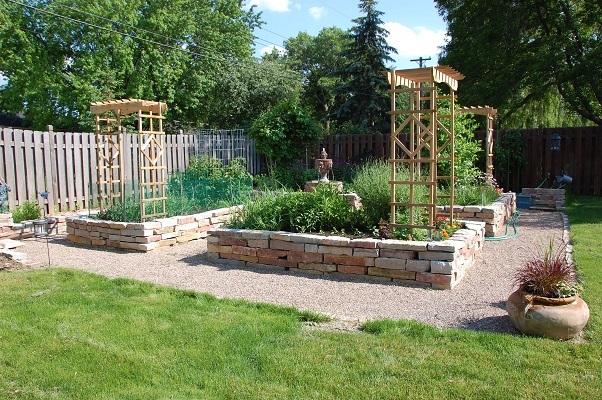 You can also use stone and other border types to create this garden style. 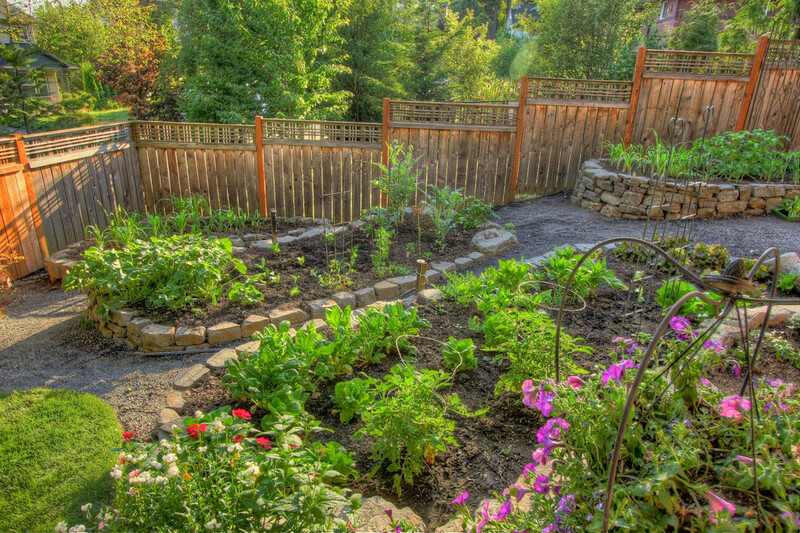 Raised beds along the fence make a wonderful border. 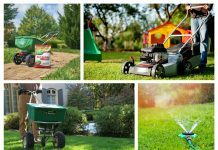 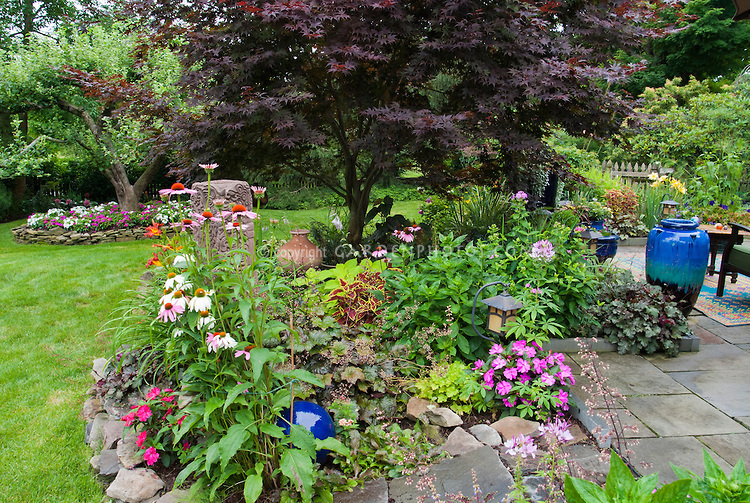 Plant small shrubs, bulbs or fast-spreading ground-cover plants for a low-maintenance enhancement that will give your backyard a beautiful boost throughout the year. For added interest, vary the height and size of containers or stagger them down if your yard has a natural slope. 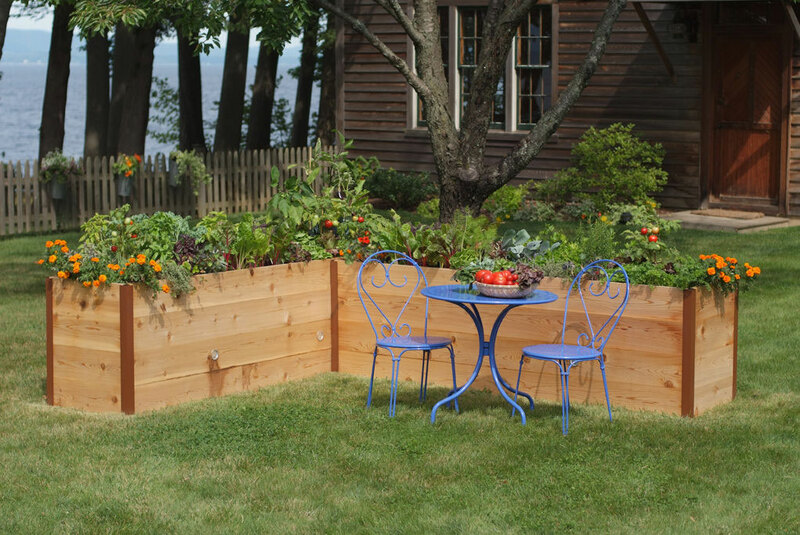 Surround the deck or patio with raised beds to create a display of color around these areas. 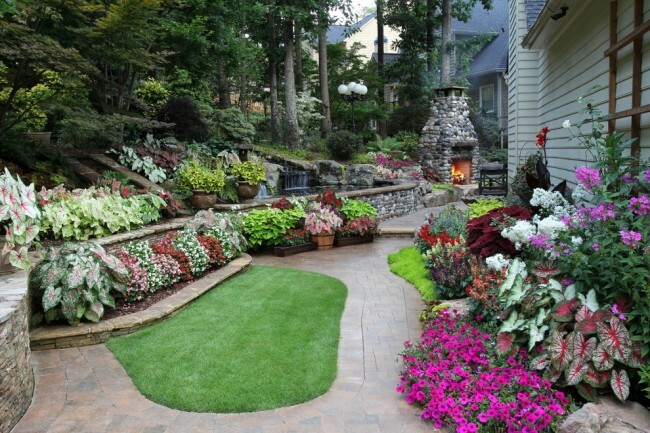 Accent the beds with potted annual plants on the deck and patio. 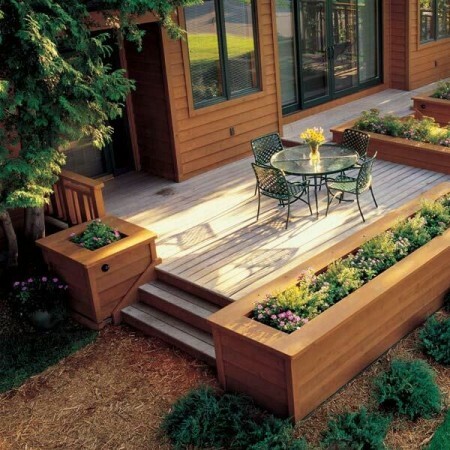 You can also construct or install purchased planters on the deck or patio. 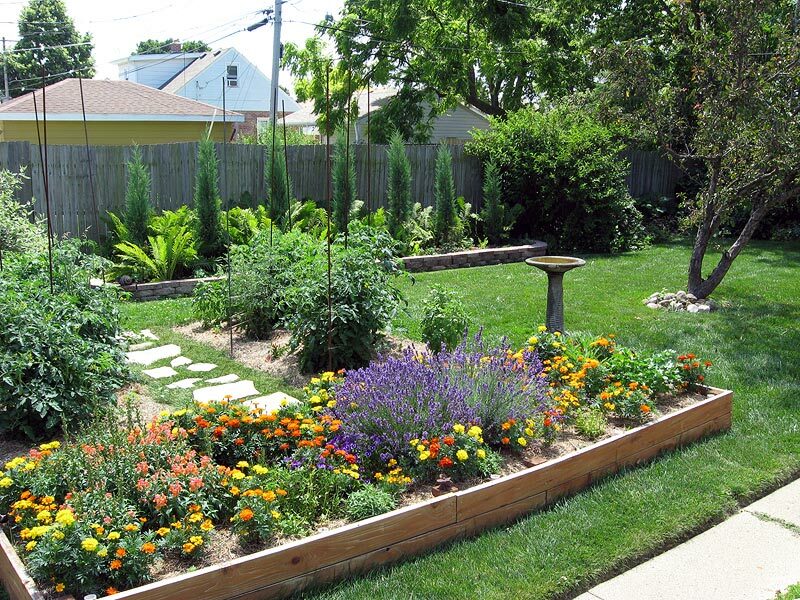 Consider installing several levels of raised beds for variety. 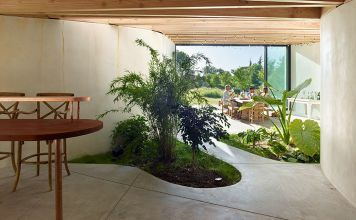 Create a walk-through garden with a pea gravel base. 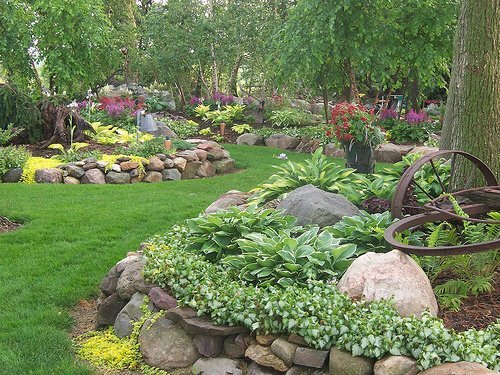 Designate an area off to one side or make this the centerpiece of your yard. Border the area with rock, brick or wood and fill with pea gravel. 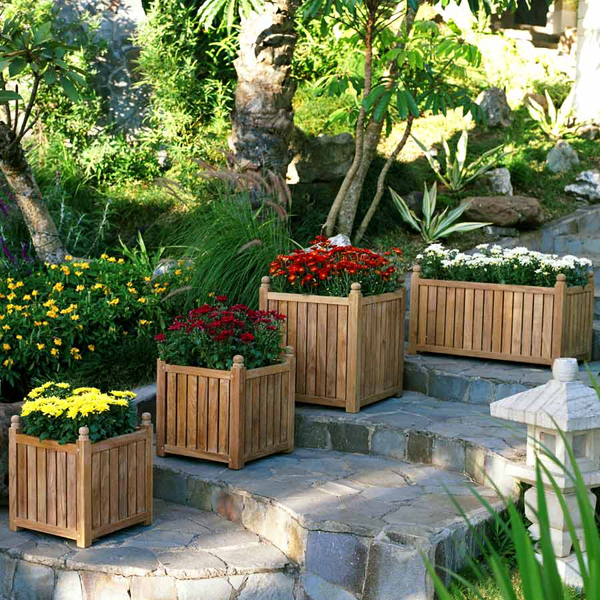 Arrange containers to create a pathway between sections for easy access. Place a few garden benches in the area for a functional accent. 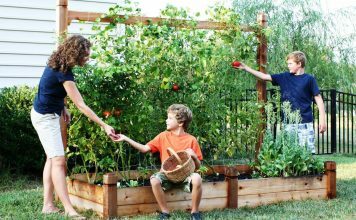 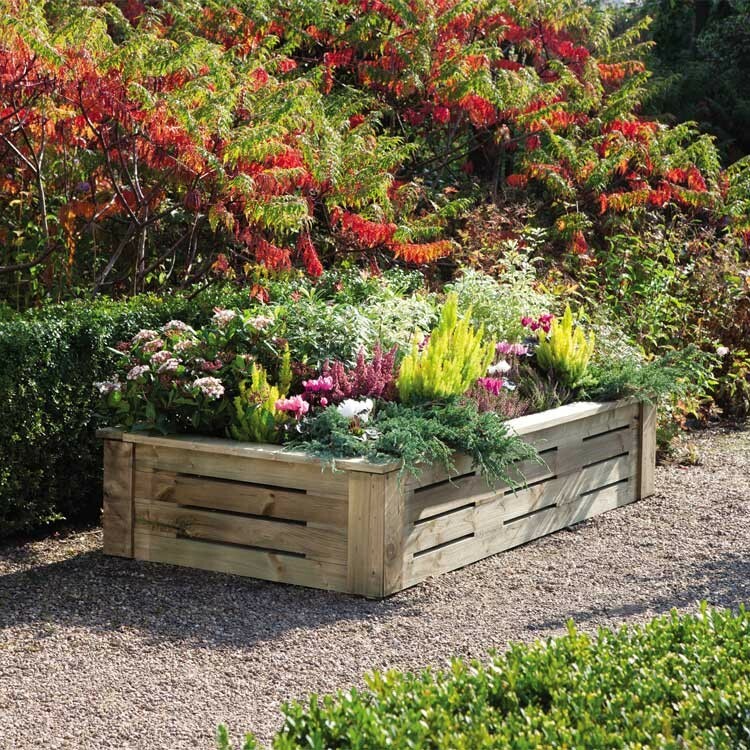 Easy to install and maintain, raised beds can make gardening more easily accessible to even the most novice of gardeners. 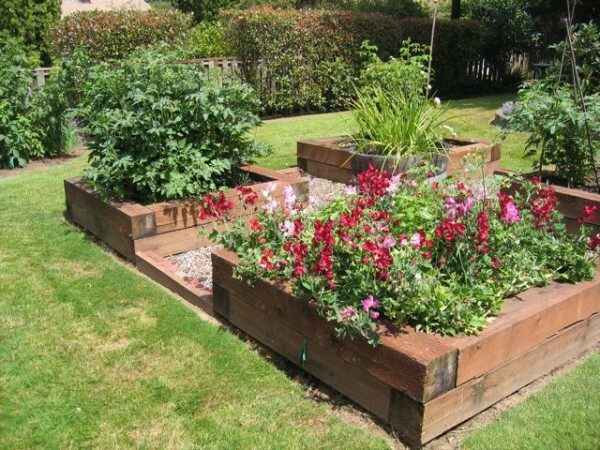 For the yard that has less than hospitable soil, raised beds take the back-break out of digging. 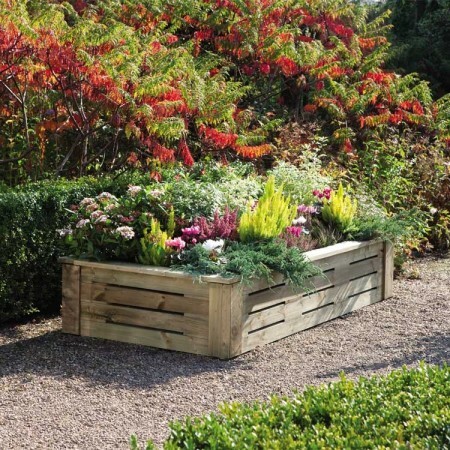 Simply purchase soil for use in the containers. Line raised beds with weed control fabric or even newspaper to cut down on weeding. 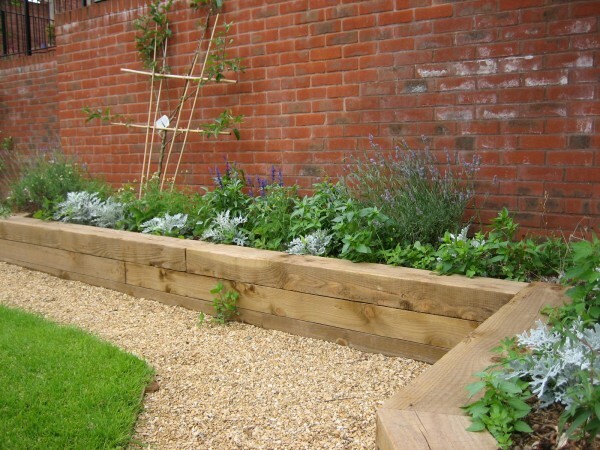 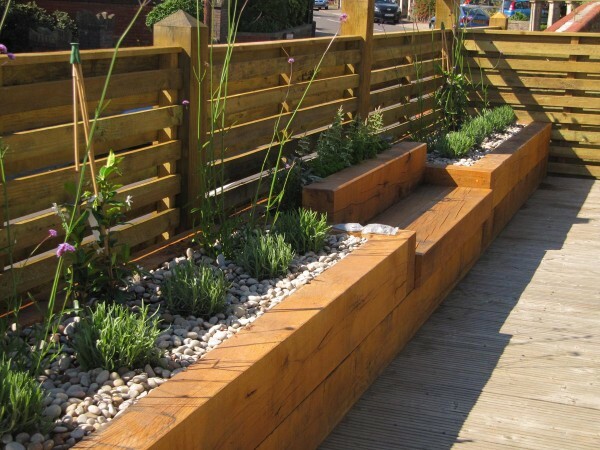 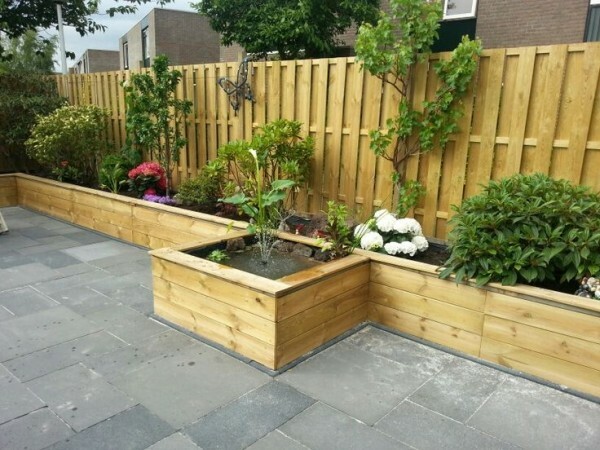 Raised beds are a great alternative for those that desire a tidy garden with less maintenance. 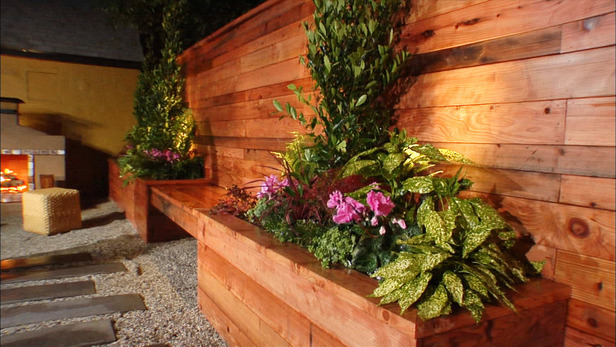 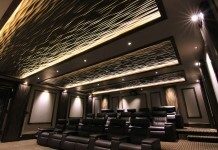 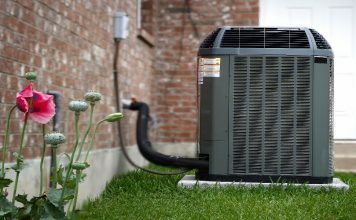 They are easy to install and provide a beautiful enhancement to the backyard. 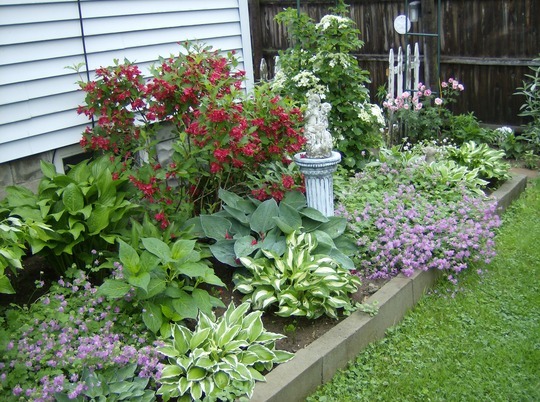 So, dig in and start your garden project now for summer color.